After attending the PRSSA National Conference in Austin, Texas, I gained new insights about the public relations industry and gained more confidence about my future in this field. Throughout the few days I attended, I learned new ideas such as branding myself, how to manage crisis and learning how technology can advance the public relations field. One of the first sessions I attended was hosted by Jason Mollica, a professional lecturer in communication studies at American University. He spoke about personal branding and how to analyze the media we use on a daily basis. Professor Mollica then transitions into his next topic which is about digital analytics and how we can analyze data based on the followers and activity we gain through our media. He provided us with some analytical tools such as Meltwater, Klear and Talkwater that can help us with this process. By analyzing the activity, we can learn what and how we can improve our content to fit our persona. After this session, we were allotted a break and I attended the next session titled “The Art of Conflict and Crisis,” which was presented by a panel with Dr. Raquel Perez, Aileen Izquierdo and Heather Radi-Bermudez from Florida International University. The panel touched on the different crisis topics such as the recent controversial issue at Starbucks and accident from Kentucky Fried Chicken (KFC) and how these companies managed to comply with the public. A few ideas they emphasized is that “truth is the greatest weapon” and that “conflict is inevitable.” They told us that we must understand the crisis, embrace it and be prepared for it when the situation arises. For example, the recent Starbucks controversy was looked down upon by the public as the incident involved a sensitive topic at the time. The communications director had to find a way to ease the problem so they came up with a solution by informing the public about re-training their employees for these situations, which was a good method to use so the public will understand that Starbucks is accepting their faults and plans to take action to resolve the issue at hand. The last session I attended for the day was called “Code for Communication” which was presented by Brandi Boatner, who works at IBM. In this session, Brandi discusses the importance of learning technology and how combining this new skill with public relations can help us build our skill set for future employers. She encouraged a majority of us to learn technology, preferably the basics of coding, so that we, as young professionals, can be more than qualified when an employer looks at our resumes. Through this, we would be educated in behavioral and predictive analysis, develop our digital intelligence and possibly become influencers of modern communication. Overall, Brandi really had us thinking about the future of public relations and how we can catch up as millennials studying the field. The first day of breakout sessions at the PRSSA National Conference opened my mind to new ideas that I can use to develop my skills in public relations. I learned how to personalize my brand to be as authentic as I can, how to remain calm during a crisis and to expect the unexpected from a situation and lastly, I learned the advantage of learning to code in order to advance my career in public relations. 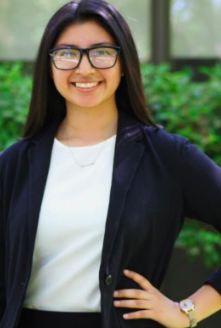 Jacqueline Barraza is a junior at Sacremento State University. She serves as a Regional Ambassador for PRSSA National. This year she was a recipient of the PRSA Foundation Travel Grant to attend the PRSSA National Conference in Austin, Texas.